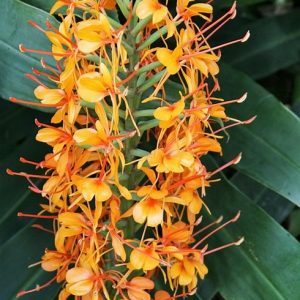 Hedychiums make a marvelous tropical subject for the garden. 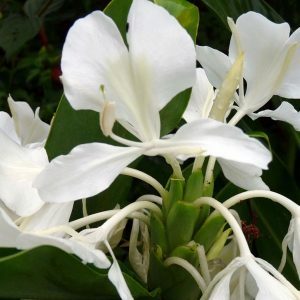 They fill air with breathtaking fragrances of their blooms. 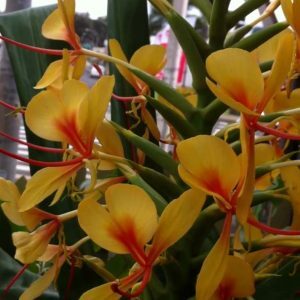 There are many ranges of color which include reds, pinks, whites, yellows, oranges and soft pastel shades. 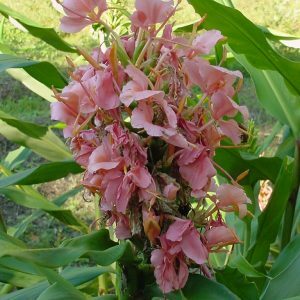 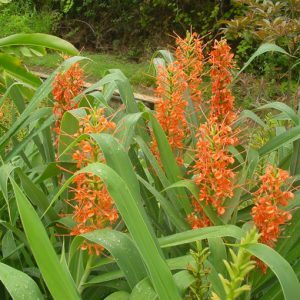 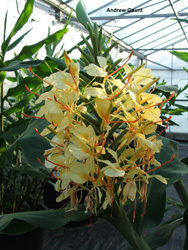 Showy butterfly shaped blooms emerge from the terminal spike atop a cane like growth. 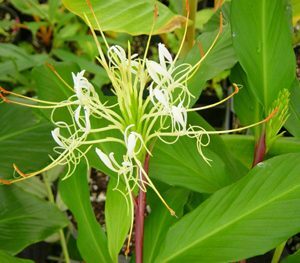 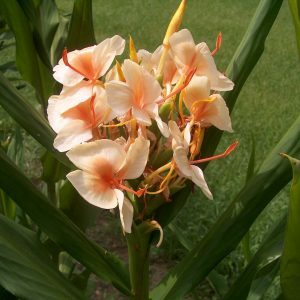 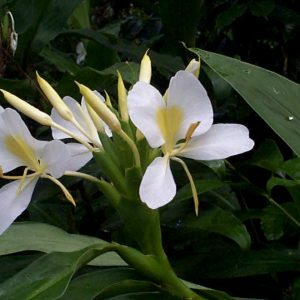 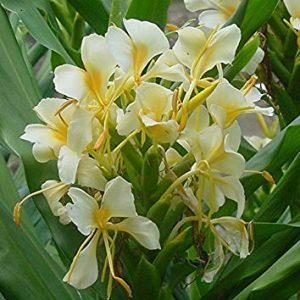 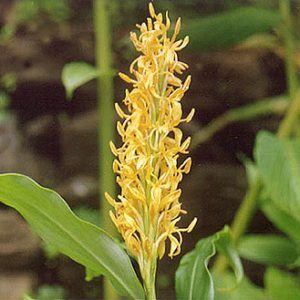 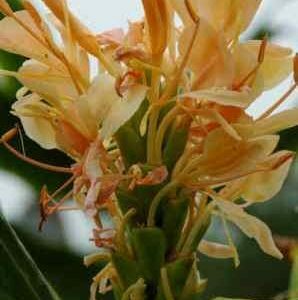 We are happy to say we carry one of the best hedychium selections around with many new varieties and some old. 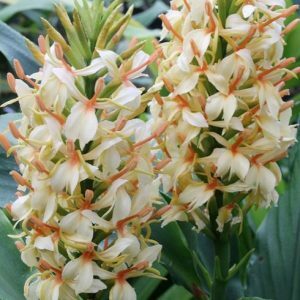 Hedychiums grow in any good garden soil or potted container and are not particular about drainage. 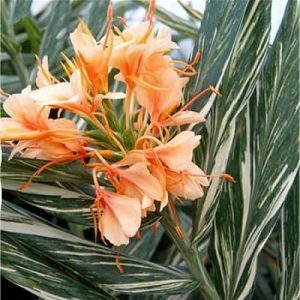 They prefer a little afternoon shade of filtered light in warmer climates. 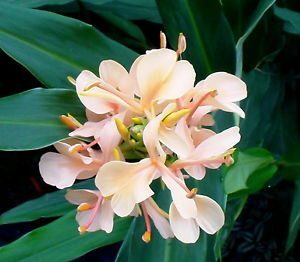 Very hardy they can take temperature to almost freezing. 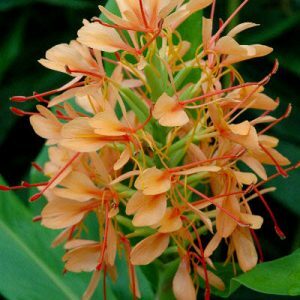 Hedychiums will reward you with lush green tropical foliage and exquisite fragrant flowers summer through fall!